About attorney Gary Bender | Forbes Bender Paolino & DiSanti P.C. 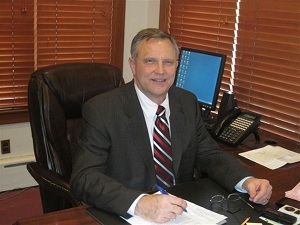 Gary began practice of law in the Commonwealth of Pennsylvania in 1979. With over thirty years of experience he has been involved in a broad range of practice areas. Gary has spent an extensive amount of his time in court, and as a trial attorney, has more civil jury verdicts than ninety five percent of all lawyers. In addition to his practice before all levels of the Pennsylvania courts he has argued cases in Federal District courts and the Third Circuit Court of Appeals. A long-time resident of Chester County, Gary is active in numerous areas of the community. He is a member of the Chester County Bar Association, former Republican Committeeman in Upper Uwchlan, past Board Member of the Chester Valley Golf Club, the French & Pickering Creek Conservation, and Marsh Creek Youth Football. Gary has also served as Coach of GEYA Baseball, and is an active member of the St. Elizabeth Catholic Church in Chester Springs. Gary obtained his undergraduate degree in Business in 1976 from Wake Forest University, his law degree from the University of Pittsburgh Law School in 1979, and his LL.M. in Taxation from Villanova University Law School in 1984. Contact Gary at gbender@fbpdlaw.com or (610) 627-1700.